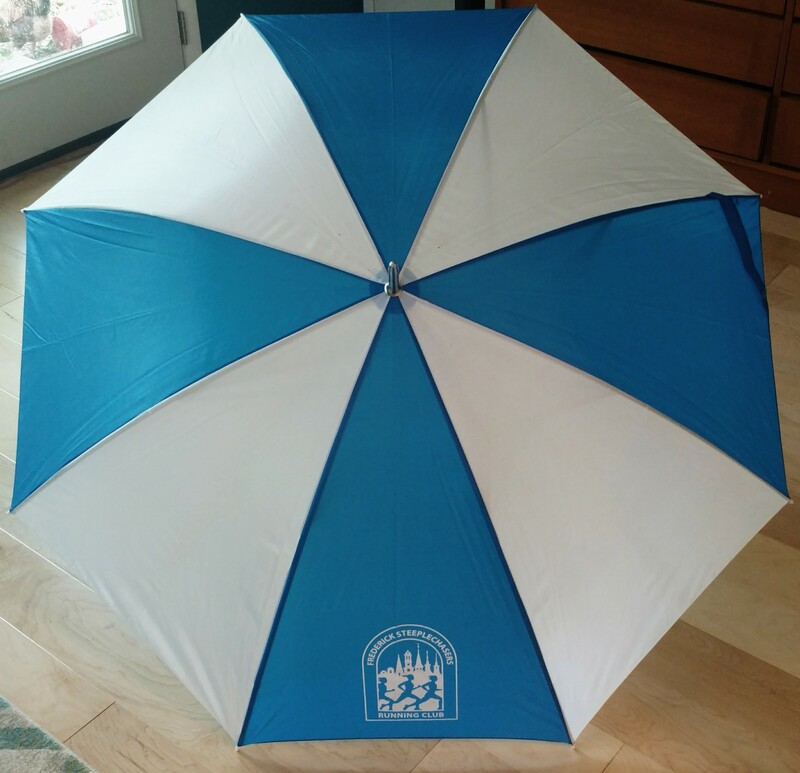 Full-size blue and white collapsible umbrella with wooden handle. 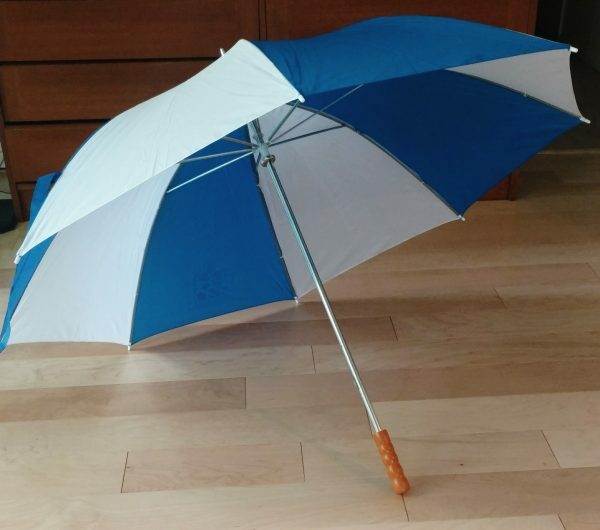 Stay dry in the worst rainstorms with this stylish full-size umbrella. 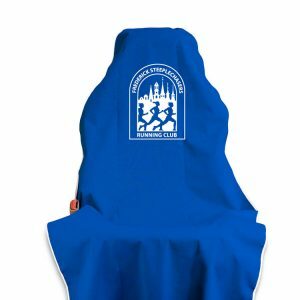 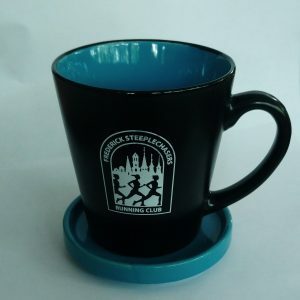 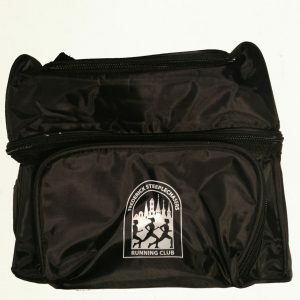 Complete with a wood handle and the Steeplechasers logo, you’re sure to be noticed around town.